If you can’t seem to make up your mind over which of the Hawaiian islands to visit, the Four Seasons has a newly debuted experience offering its signature elegance, exclusivity and top-of-the-line adventures. 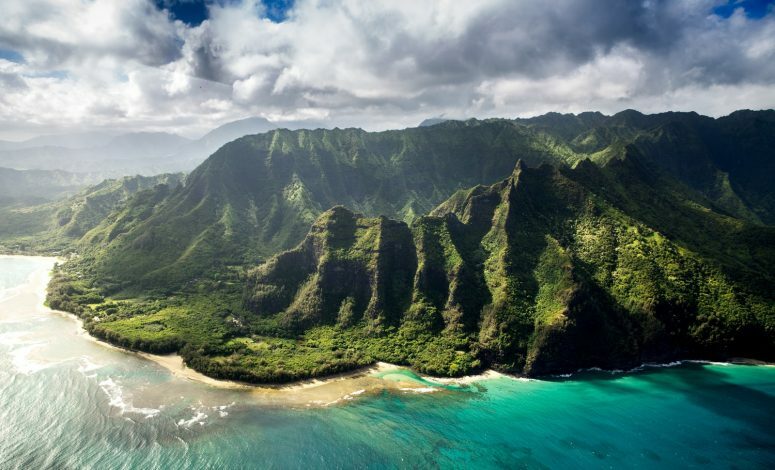 Hawaii by Four Seasons is available for up to four people with a helicopter and a private jet as transportation, this 12-day getaway offers you the best of the best at every step of the way. The excursion begins at the dazzling Four Seasons Resort Maui at Wailea. Guests will soar via helicopter over Maui’s picturesque coastlines and Haleakala volcano and then head over to ONO Organic Farms to forage and savor exotic fruits. The activities continue with a dip in lava caves, hiking in bamboo forests to find waterfalls and a visit to Hana Ranch where Executive Chef Craig Dryhurst will prepare the ultimate gourmet feast. Seamlessly blending earth, fire and water – Hawaii’s Big Island is natures ideal outdoor paradise beautifully displaying natures most raw and breathtaking beauty. During the adventure at the popular Four Seasons Resort Hualalai, guests will learn how to use traditional Hawaiian outrigger canoes. They’ll also relax on the white sand beaches before hopping aboard a private charter flight flying over the Kilauea Volcano and granting access to view rare sights of remote locations. Offering a cozy and intimate experience, guests will create their own adventure featuring a variety of private experiences. Options include a catamaran excursion, choice of Polaris sport vehicle tour or horseback adventure led by wrangler Keith Moon, golf or tennis lessons and a massage. A private dinner looking over Hulopo’e Bay under the stars will conclude a wonderful day of adventure. Embark on a spiritual journey to the remote Ka’ena Point, a scenic reserve that harbors some of the last vestiges of coastal sand dune habitats on Oahu. Venture to the westernmost tip of the island to explore the Leaping Rock where it’s long held to be a sacred place where mortal souls left into the realm of the gods. A professional photographer or videographer is available to accompany this stunning journey. Hawaii by Four Seasons is currently available to book starting at $65,000 USD to navigate all four islands with a minimum three-night stay on each resort with a fully customized itinerary.